A must for every violinist! Johannes Brahms produced a number of works without opus numbers in which he arranged other composers' music. In a volume titled Five Studies for Piano published in 1869 and 1878, Brahms arranged J.S. 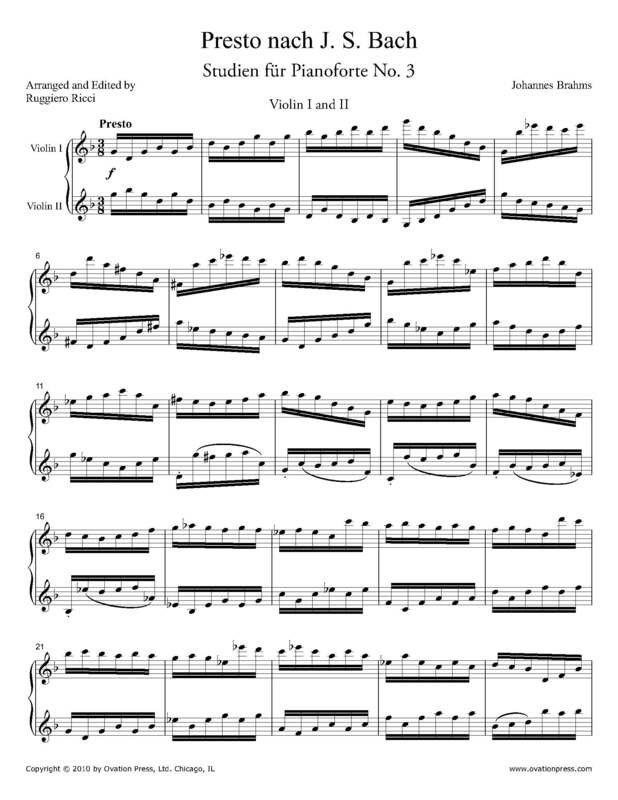 Bach's Chaconne from the D-minor Partita for violin solo and the Presto from the G-Minor Sonata for violin solo, in addition to a Chopin etude and a Weber rondo. Ruggiero Ricci has brought this work full circle by creating an arrangement for two violins from Brahms' version for piano.